Habitat: Varies from rain forest to dry woodlands. Favors vegetation near rivers. Food: Opportunistic; eats plant and animal matter. 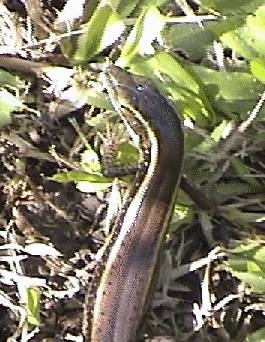 I saw this skink roaming the grounds of Australia Zoo (it wasn't part of the exhibits). Thanks to Mark Straughen of Sydney for identifying it for me!